What motivates this work is the dynamic expressive process that is hidden in the final text in order to transform the process of writing into a real-time performing art. Traditionally reading and writing are disjointed, giving writing the appearance of static monoliths that are presented for a reading that can have very different characteristics than the original writing had at the time of creation. If one writes in front of the public by sharing the screen of a computer (or hand-writing), one can already be providing a convincing live writing performance. The pace and rhythm of typing can be a powerful dimension for expressive writing. Various kinds of writer’s cognitive and emotional states (such as contemplation, hesitation, confidence, or agitation) can emerge during typing, thanks to the temporal patterns of their keystrokes, for instance, pauses, bursts, or cursor highlights. In addition, corrective steps are ways to reflect changes in a writer’s thought process. For example, if some of the text is deleted, it reveals the dynamic and often non-persistent nature of emergent ideas. Hence, deleted text builds a powerful message not only showing the initial, aborted thoughts but also showing the oscillation in the thought process. Some ideas that have been considered during writing may be completely absent from the a final product yet dramatically change the nuance of the final text. Once a writer understands the real-time nature of writing, temporal patterns become part of a writer’s expressive vocabulary and performance technique. Writers can deliberately take advantage of the additional expressive dimension to structure the writing as a real-time performing art. Deploying such expression in the process of writing is similar to choreographed visuals and organized sound in an audiovisual performance. This way a writer can “compose” a live writing music performance and rehearse it to deliver the piece as it is composed. On the other hand, the process of writing can be similar to a musical improvisation, where the writing itself can be written by a performer on the fly. We believe that for a performer both approaches have different potentials and challenges, and these are discussed below as the paper analyzes two performances of live writing. In a broader sense, live writing shares a common artistic aesthetic with live coding in that both practices reveal the whole creative process to the audience and are “composed” to some extent on the fly. With the metaphor of live coding, the code text written in live writing performance utilizes the expressivity of the language we speak (as opposed to the language that a machine speaks) and the target object that the code influences will be the minds of readers (as opposed to a computer program that generates music). In this sense, one could consider live writing to be a metaphorical form of live coding the audience’s mind. A piece of writing that shares the emotional state of a performer with the audience in a human readable form can resonate in readers’ minds directly with strong messages coded in the text. Performance interfaces are available here. Live Writing: Writing as a Real-time Audiovisual Performance. Sang Won Lee, Georg Essl, Mari Martinez. 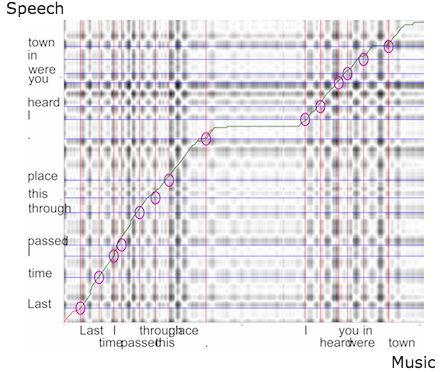 Web-Based Temporal Typography for Musical Expression and Performance (paper). Sang Won Lee, Georg Essl. Aug. 2017 Live Writing:Gloomy Streets @ the Toronto International Electroacoustic Symposium (TIES) 2017. Toronto, ON, Canada. 2017. Mar. 2015 Performed Live Writing : Gloomy Streets @ Performing Arts Technology Showcase Concert 2015, Britton Recital hall (Video).